Kronak has been fighting from realm gate to realm gate, desperately trying to find his way back to Azyr. He steps through the latest gate, the taste of metal in the air, Chamon, and it is cold, very cold. 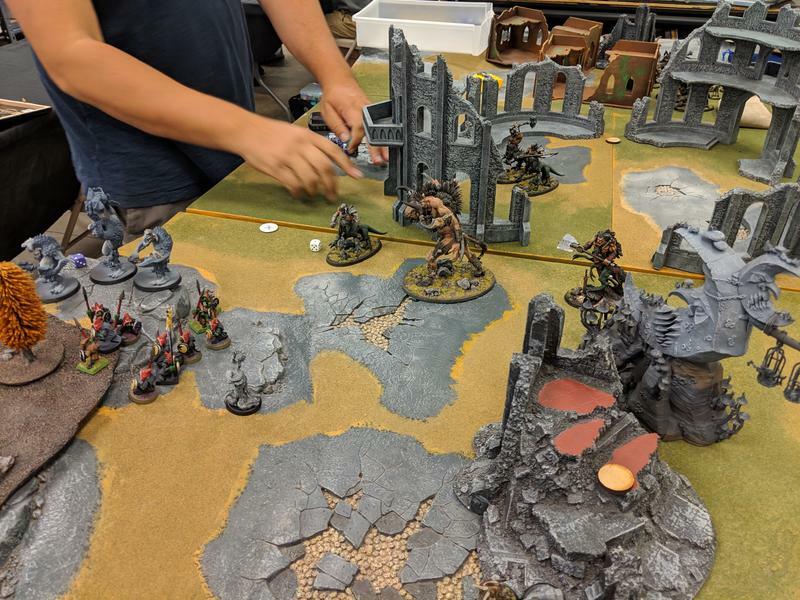 As his army makes their way through the freezing environment, they find their next gate only to find a bad moon shrine, and an army led by a huge Troggoth arrayed against them. He sends his expendable breyherd to encircle...he will not be stopped here. 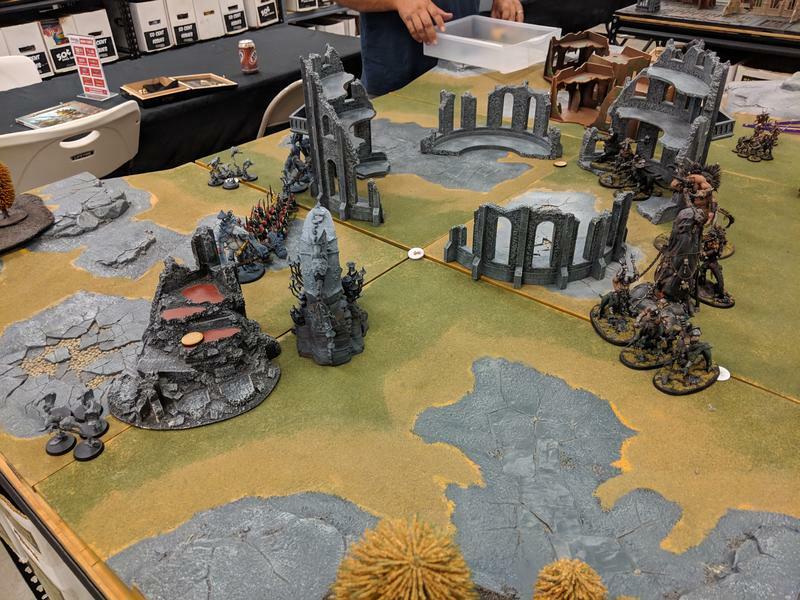 I got my first game in since completing my 1000 points against a friend's Bad Moon army. 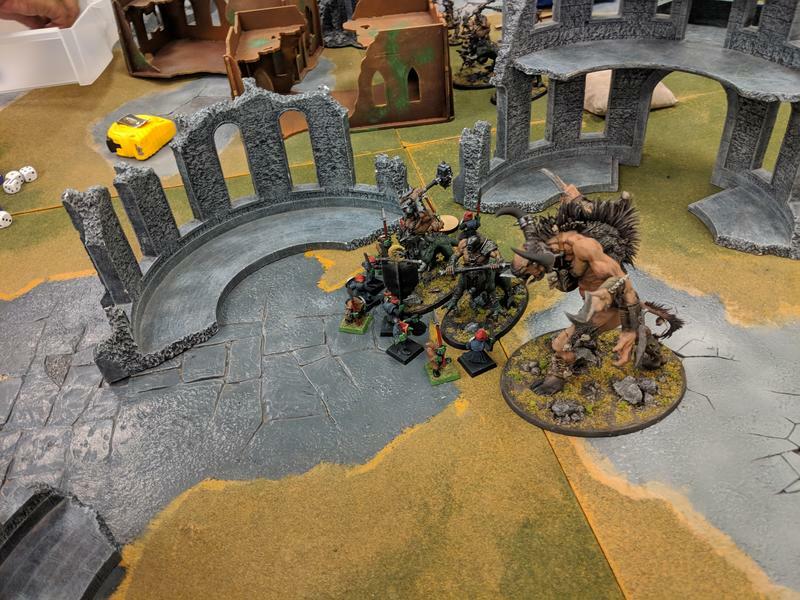 It was led by the big Trogoth, had two units of grot spears, a unit of Trogs, squig hoppers, and a Shaman. We rolled for scenario and got Focal Points in Chamon with the realm effect that says it is so cold that weapons break. No rend from weapons. That was really bad for the trolls whose biggest advantage is -2 rend. We ruled that it didn't effect the stone's effect because it says "on the weapon". He gave me the first turn and I ambushed in the raiders, beastigors, and beast Lord. The only charge I made was the raiders (after shooting) into a small unit of squig hoppers that were on an objective. That was probably a bad idea but ended up working out. They only lost three but I underestimated how bad their leadership is. Thankfully I rolled a 1 for battleshock and they stuck, scoring the extra points. 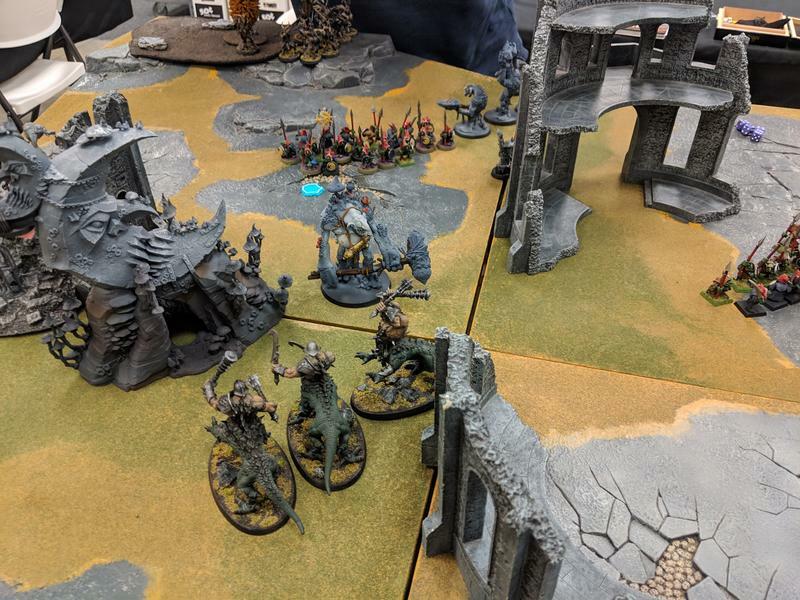 The big Trog attacked my Dragon Ogors in the center but without rend, they fought him off. Same with the unit of Trogs that charged the Beasts behind them. They didn't do much vs Trogs and Grots because of the -1 to hit (from nets), but they also didn't die very fast. The Ghorgon and Dragon Ogors on the right flank wiped out the Grots on that flank and started rolling through the battlefield. He tried to Hand of Gork a bunch of grot behind after I moved everyone up but failed the spell. It was a fun game that I won on points. The dice were definitely in my favor in this one. 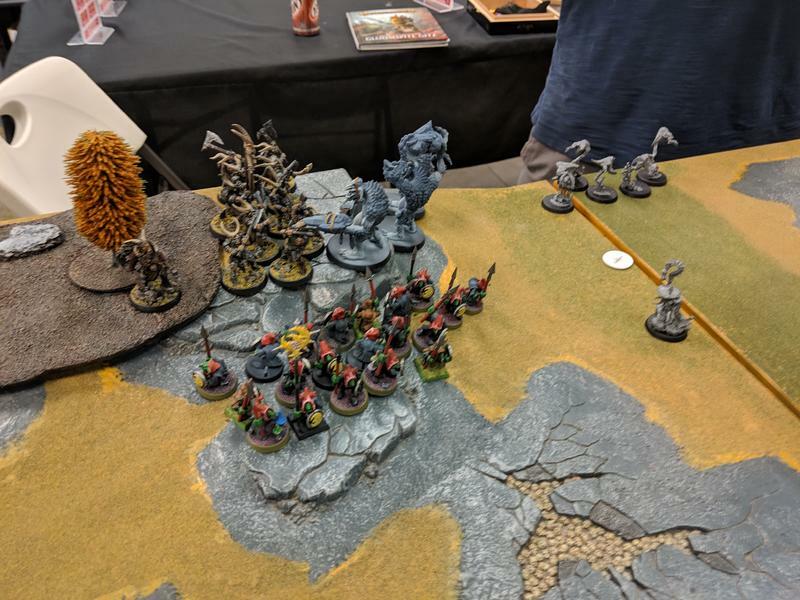 I was happy to see the Dragon Ogors and Ghorgon perform well and the Breyherd were a great distraction. Previous entry 1000 pts complete!